I forget exactly how you put it… that superheroes are young boys’ wish fulfillment or revenge fantasies or something. Regardless, I think that’s a cynical and inaccurate assessment. While every story with a hero certainly fulfills a level of wish fulfillment, that’s not the purpose. Hero stories go back as far as history allows and the truth I think is that they are there for socialization. Fairy-tales are the same reasons for a variety of purposes. Teach children what to avoid, and how to behave. 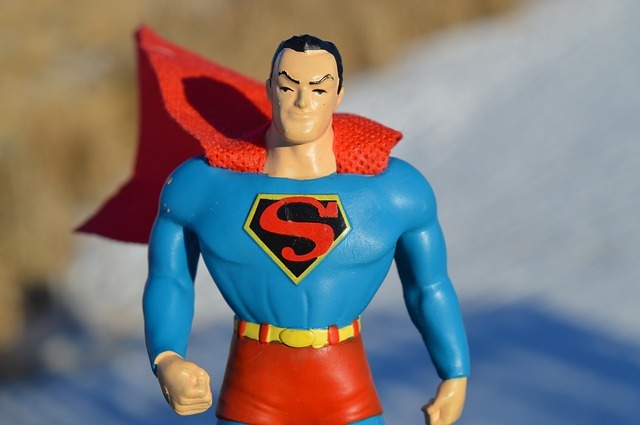 Hero and later superhero stories provide models of behavior that is beneficial for children to adopt. – Be a leader of men, and expect to sacrifice for your efforts. – You will become a legend if you do all these things. >Hero and later superhero stories provide models of behavior that is beneficial for children to adopt. They can; but there’s a number of motivations for producing entertainment that kinda muddy things. Superheroes have the problem in this respect of passing through different phases, depending on the median age of their perceived audience. During a kids friendly era imparting proper moral values is key; but during an 80’s-esque “NO! They’re NOT just for kids!!! !” turn you get the opposite. I think the diversification of media we currently “enjoy” has split the dif on this one; the comics seek an older audience, the movies a younger one…. the tv shows an even younger one still…. so it’s tougher to peg down EXACTLY what the deal is. Ultimately modern media is made to sell; and to do that it has to appeal to the audience, and that means telling them what they want to hear just as much as actually imparting a lesson. Kid targeted material usually has a positive moral ‘cos you’re actually selling it to the parents. (Kids have little money.) That’s why stuff aimed at teenagers tends to be a little more over the top and anarchistic…. teens have cash. >I think that’s a cynical and inaccurate assessment. While every story with a hero certainly fulfills a level of wish fulfillment, that’s not the purpose.